The smallest warbler lacking any obvious markings. 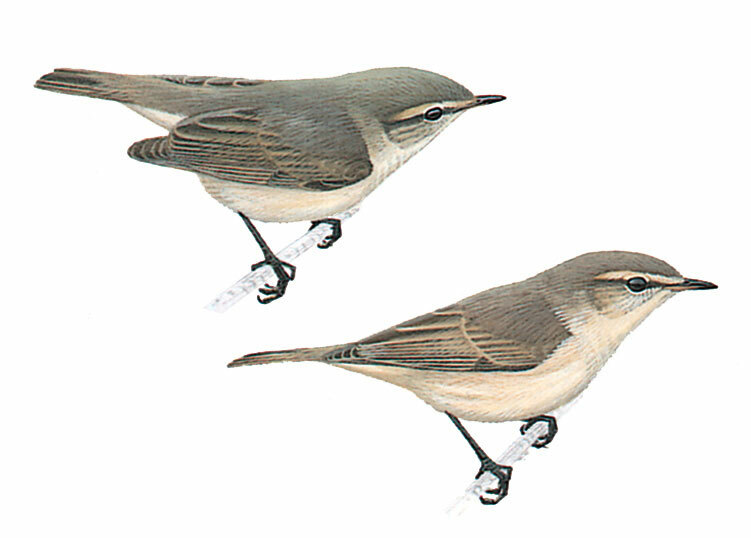 Similar to Chiffchaff, with upperparts pale brownish-grey, tinged olive. Indistinct pale to cream supercilium, narrow white eye-ring, dusky lores and and eye-stripe, and buff flecked ear-coverts. Underparts off-white, washed creamy on flanks. Legs and bill dark brown. Very active, constantly flicking wings, or seen in whirring and jerky flight.